Sorry about the delay in getting these images to you. 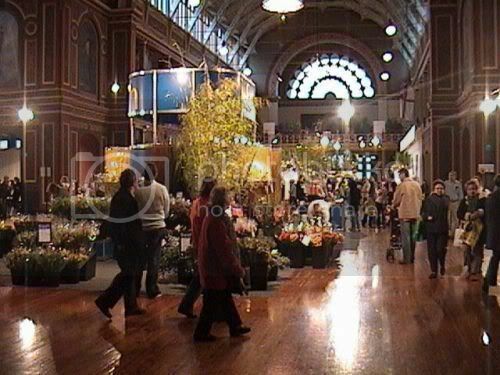 We are enjoying summer here in New Zealand at the moment and I am doing lots of markets before I go off to Melbounre and Chelsea again this year. This is one of the signs on each side of the main entrance. 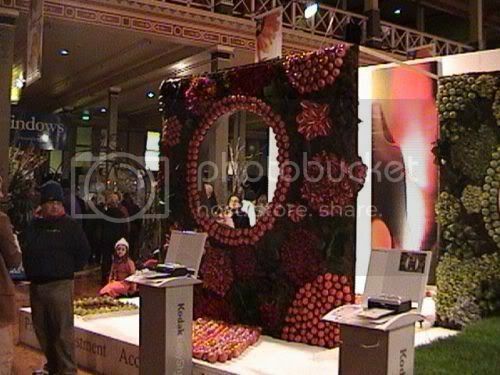 This was a Kodak Display. You could stand behind the hole and have you picture taken and printed out. It got my best side. This lady had an expensive camera and lovely hair. This looked cool, it would be a great idea for a screen. It was a pretty cool display. Simple and effective. 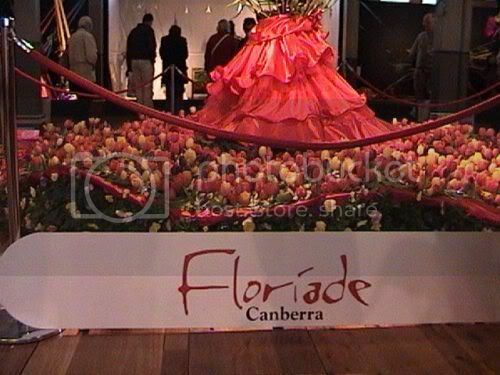 This is advertising for Floriade in Canberra. One day I will make it over for it. 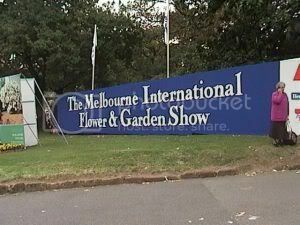 Inside the main build are lots of floral art displays and display gardens. 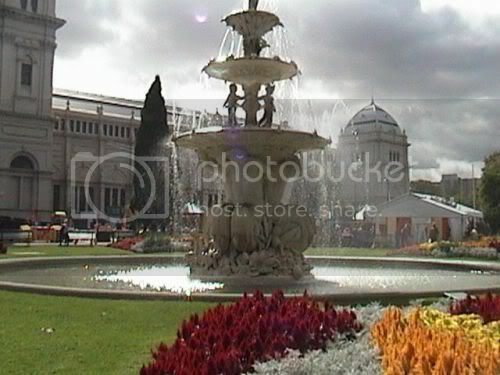 Search Google Maps for the Carlton Gardens Melbourne to see the gardens from above. I suppose they are pretty good, really. These lady's had some fun amoung the people in the crowd. 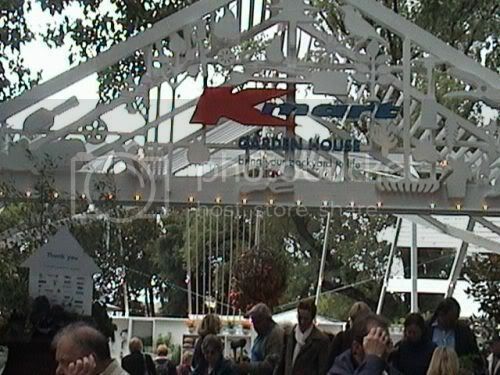 Kmart was the main sponsor then and again this year. Outside the main great hall, is this fabulous great fountain. With formal gardens all around. 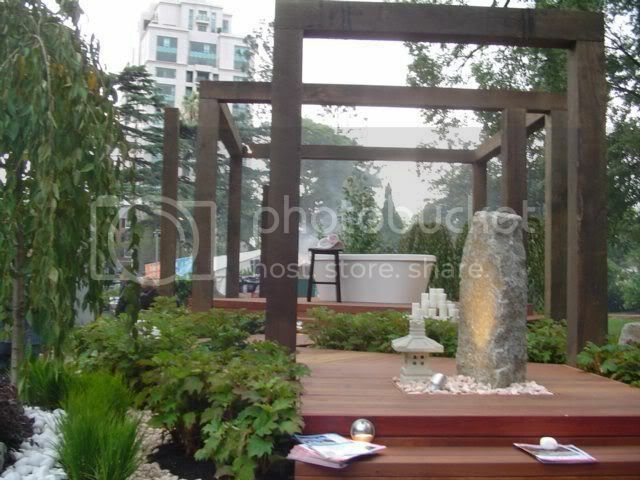 I wonder what they will have in the gardens this year? 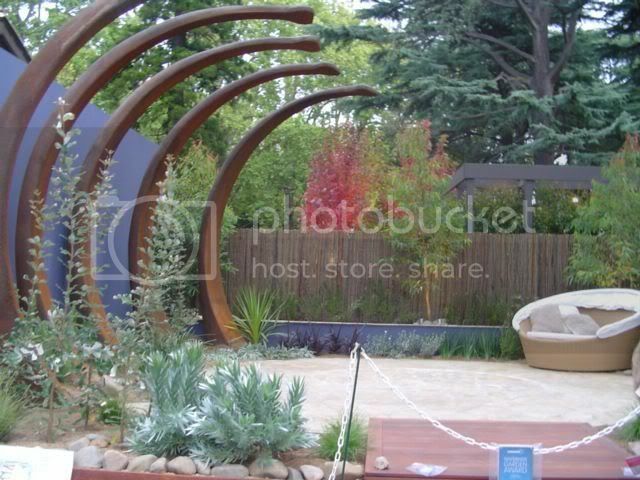 This show is Autrailia's biggest and had several stunning gardens. 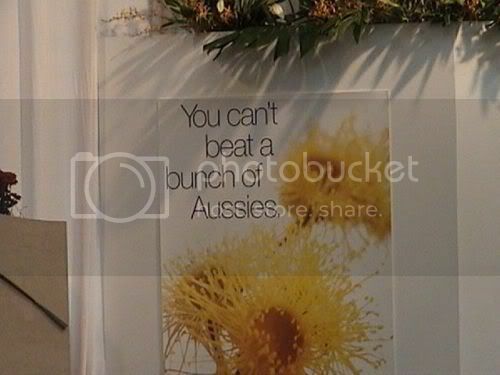 This is just one I had an image of. 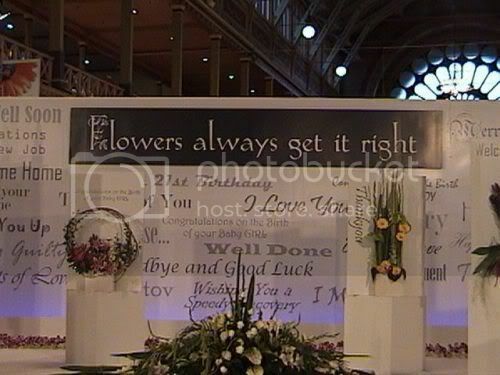 Thanks for the message's, when I get time i will put up more images. And I will have Live images again in March this year. Keep those comments coming. John I almost felt as though I was there with you!! I love the way you've set out the photographs. I think my favourites are the 'fake' metal waterfall the Australian garden with the rib effect and the ladies with their topiery heads. I've been to the Keukenhof gardens in Holland and the Floriada they hold there every ten years as well as the Ghent flower festival and they are stunning - just like your piccies. 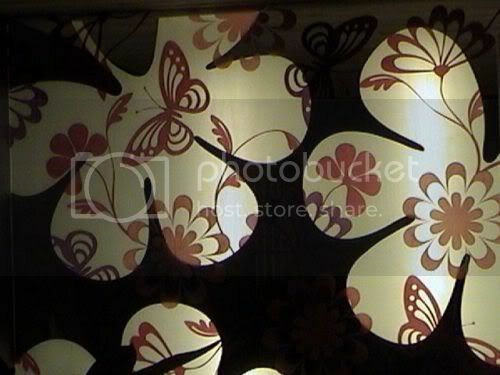 If you take a look at my blog you'll find all the photographs I took. Let me know what you think of them won't you? Isn't technology great where we can share our experiences with people on the other side of the word? Thanks for the virtual tour John, that looked like so much fun and such a feast for the eye. I cannot imagine the organisation that goes into something like that. 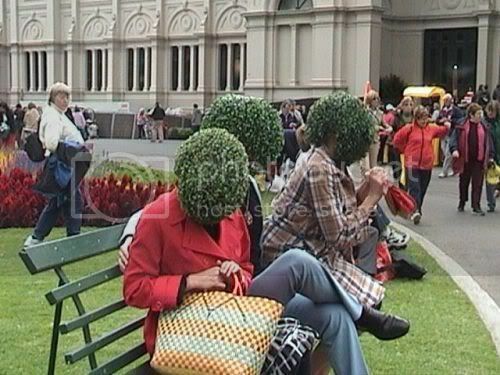 Lol at the topiary head ladies :D That would make a great Caption Competition. Kmart? Wow, I thought they were in financial trouble, they closed their Texas stores several years ago. 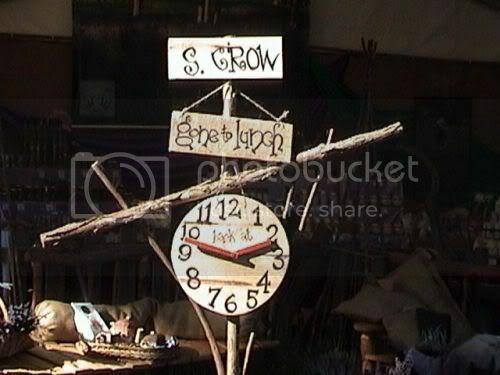 All those garden design ideas are pretty, but my favorite design style is the 'gone to lunch' sign. 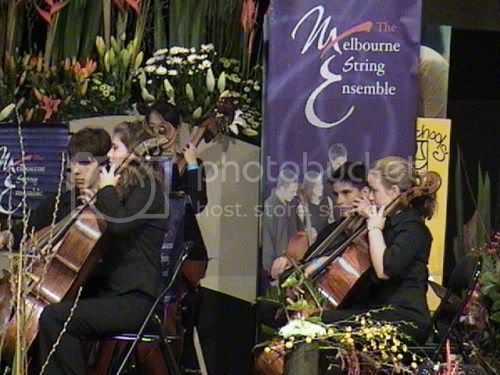 Terrific photos, next best thing to being able to attend (ooh, how I wish!). 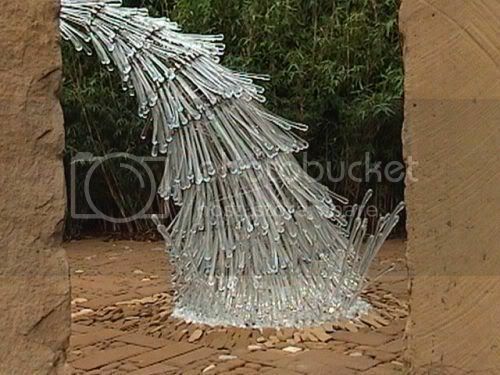 Is that a glass sculpture?? It's amazing, whatever it is *lol*. looks like interesting things are happening. The water fall was glass, I think I have some more images of it, somewhere. Will find them and put them up soon.